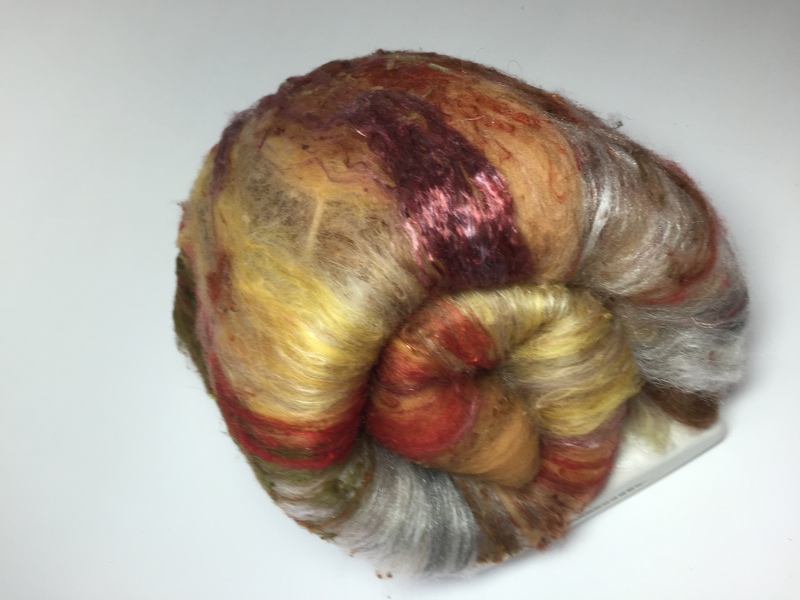 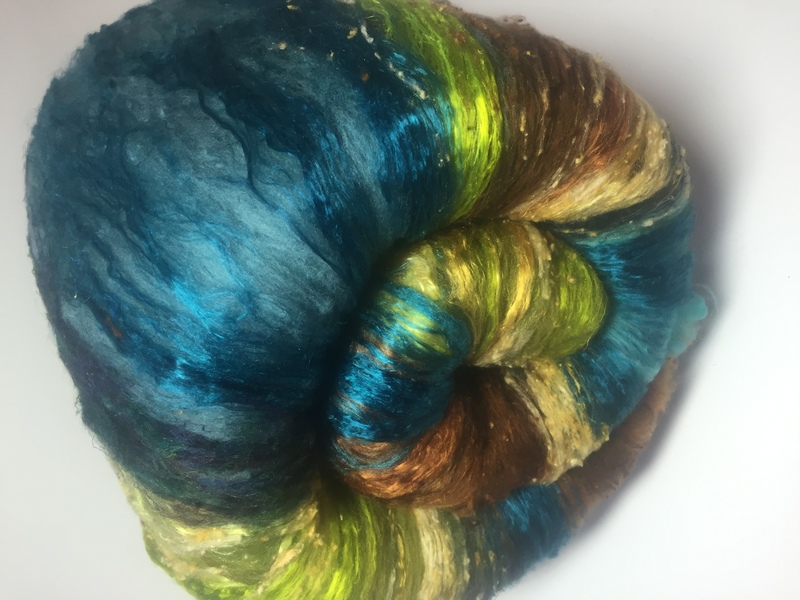 Hand dyed fibre of wool, silk, milk and soy. 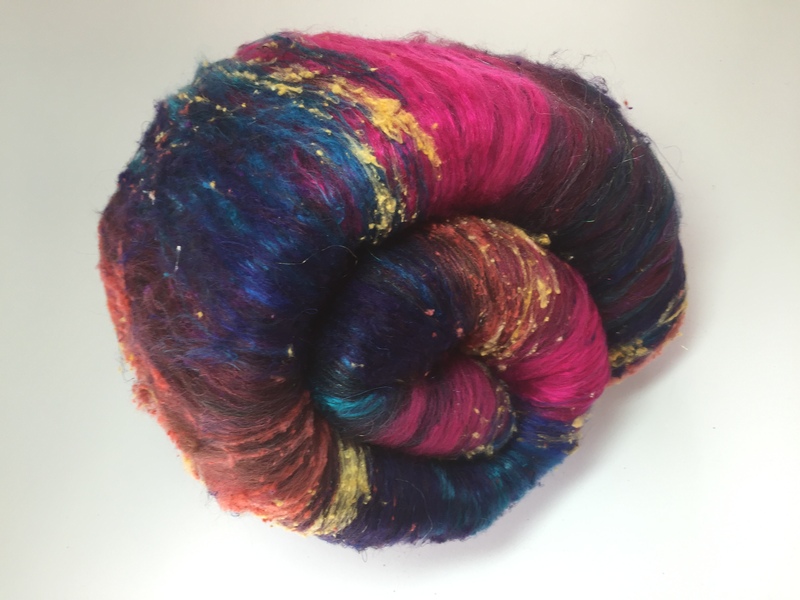 Hand carded in large and fluffy batts. 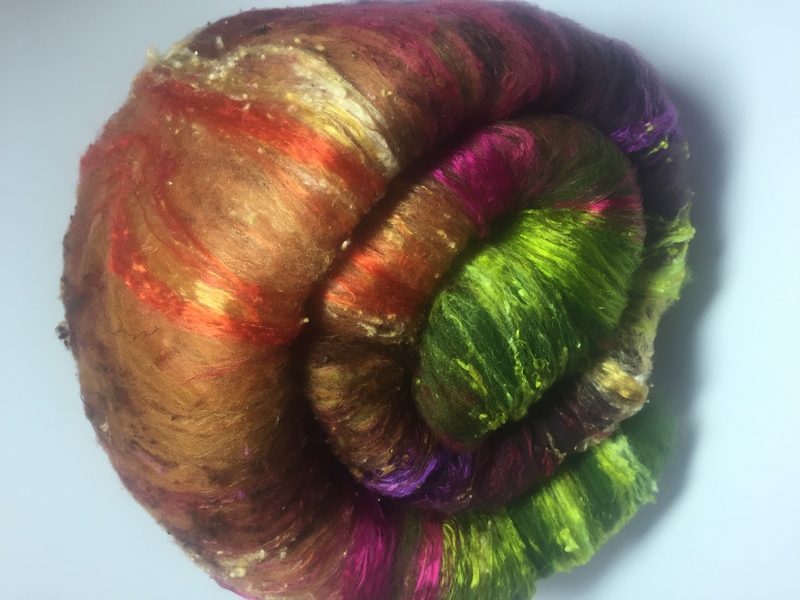 Can be used for spinning thick or thin or a combination of both techniques.